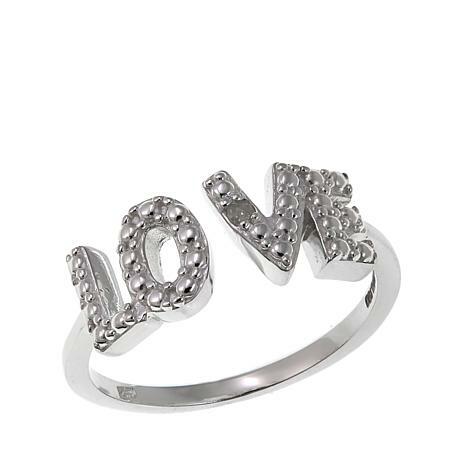 Let your love sparkle and shine with this cute band ring on your finger. The open-shank band features the word "LOVE" and a white diamond accent set in a pebbled texture for a fun, fashionable jewelry accent we think you'll, well, love! Measurements: Approx. 5/16"L x 11/16"W x 1/6"H; shank 1/16"
I purchased this ring for my twelve year old daughter and she really likes it. The ring is well made and I like that the ring is open which makes it a little easier to fit. Would recommend this ring It's a good reminder that we need to love not hate. 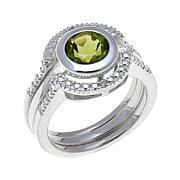 Purchased this ring size 9 for my 21 yr old niece as a birthday gift. 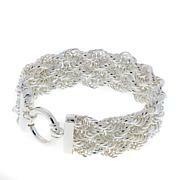 I had bought one last year for my younger niece size 6 and she loved it. When the ring arrived my older niece said it was way to small the size was way off. I returned it for the correct size but never received it. 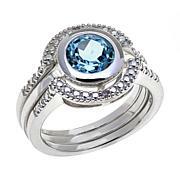 Instead of replacing the ring HSN is issuing a credit and I will have to reorder the ring.